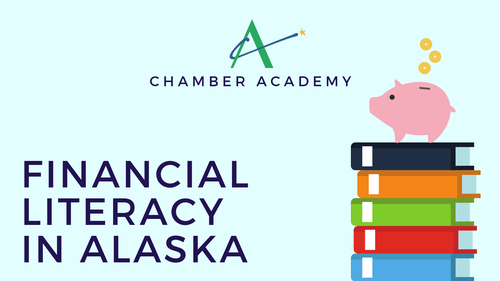 Community non-profits and businesses will present research on the state of Financial Literacy in Alaska, how we are working to address this problem, and our collective goal for the future. Junior Achievement will have its President, Flora Teo, and Catherine Kemp, Special Assistant to Mayor Ethan Berkowita will both be presenting this information and how each is addressing this problem. Flora Teo is the President of Junior Achievement of Alaska, a non-profit organization dedicated to empowering young people to own their economic success. Annually Junior Achievement serves14,100+ K-12 students in 55 Alaskan communities with lessons on financial literacy, workforce readiness, and entrepreneurship. Junior Achievement of Alaska is nationally a top-ranked office with a history of 10+ years as a 5-star organization, a recipient of the Spirit of Tomorrow Award, a recipient of the Anchorage Chamber of Commerce Premier Service to Youth from an Organization award, and earned a Platinum designation from GuideStar. A life-long Alaskan, Flora is a graduate of Bartlett High School and holds a Bachelor’s Degree in Finance and Economics for the University of Alaska, Anchorage. Flora serves as a mentor for the Women’s Power League of Alaska and the Koniag Education Foundation and as a Board Member for Northern Lights ABC. This lunch-time educational seminar is geared towards business owners, entrepreneurs and young professionals. Community experts present on a variety of topics. Subjects may include anything from down-to-earth "how-to's" and "best practices" to more abstract topics like collecting and leveraging data, and exploring what it takes to create an inviting and productive work environment. Have a Chamber Academy presentation in mind?